We bring special occasions to life with our ‪‎bespoke gifts. All of our wooden plaques are hand cut and painted, and then sanded back to reveal the wood grain. All finished with ribbon , hessian jute and raffia. 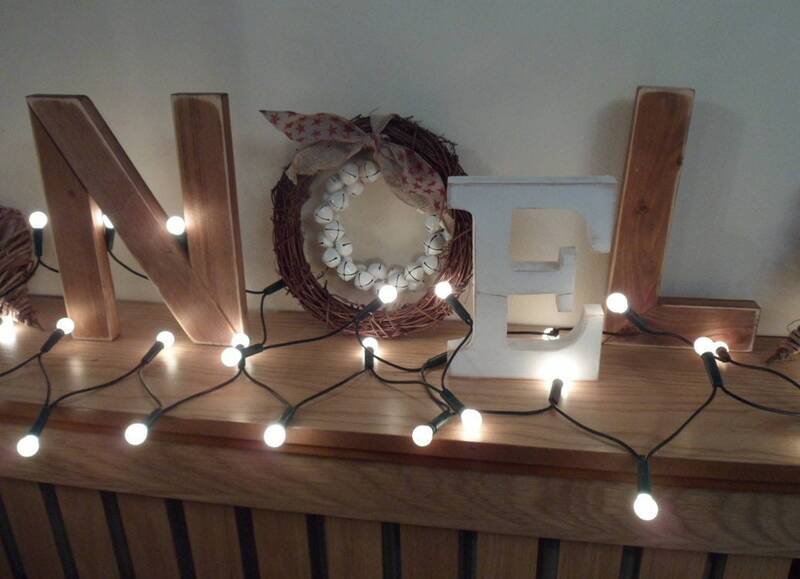 We have a set of beautiful handmade shabby chic NOEL free standing letters with a rustic vine wreath as the letter O. 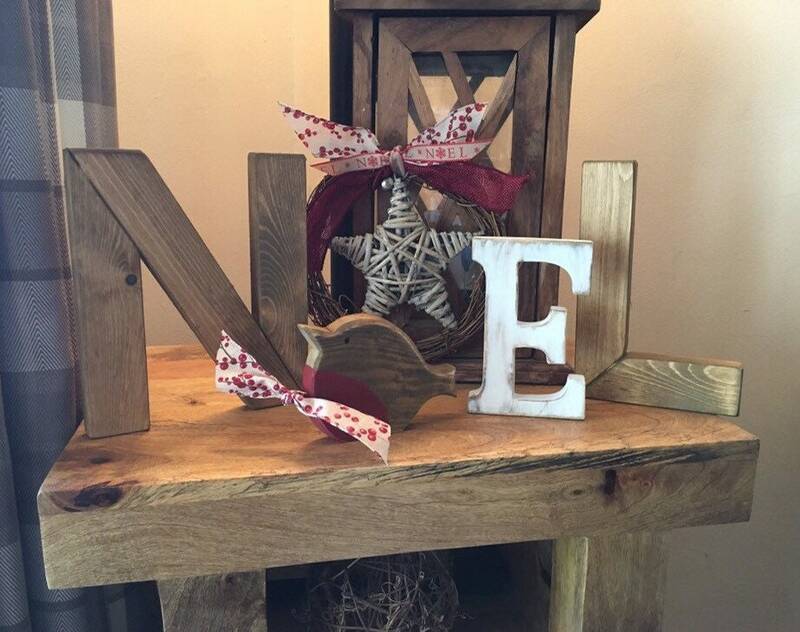 Sitting on top or at the side is a little Christmas robin or star. 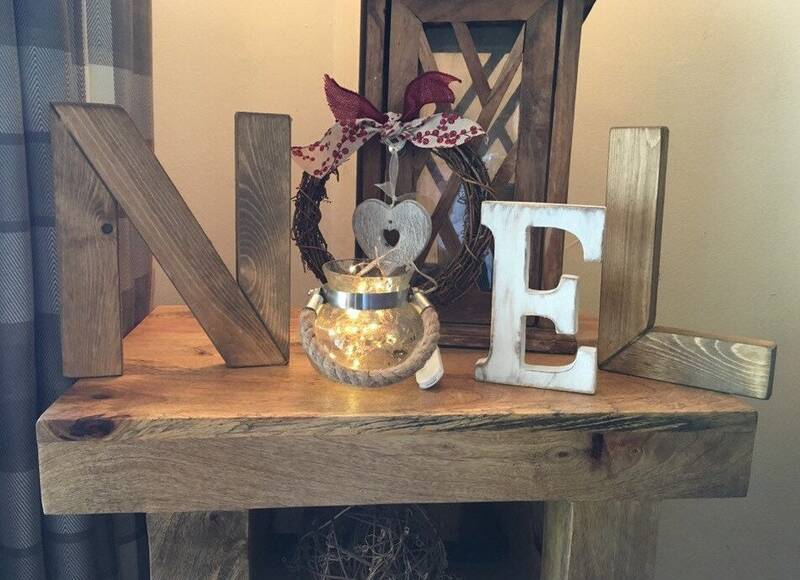 The N and L are stained brown and sanded back to reveal the natural edge and are 9". tall. 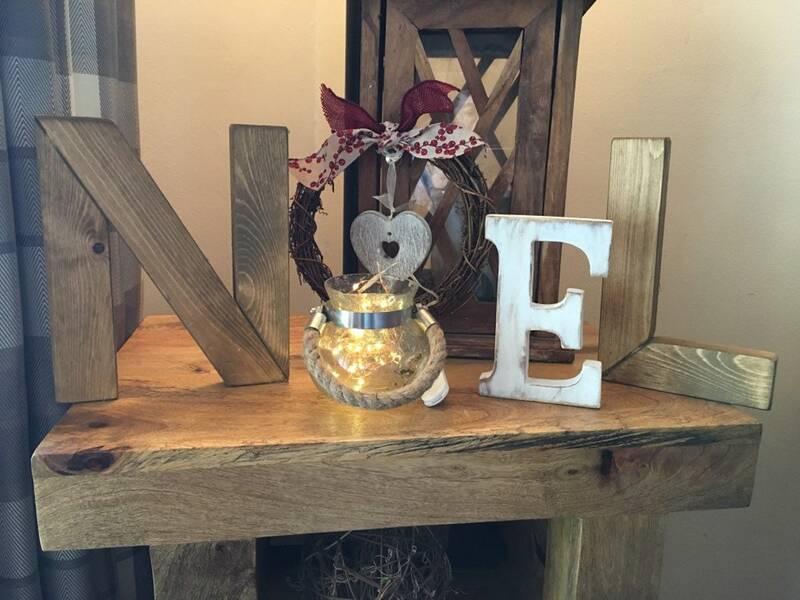 The E measuring 15cm is imported mango wood painted white and sanded back in a shabby chic manner. 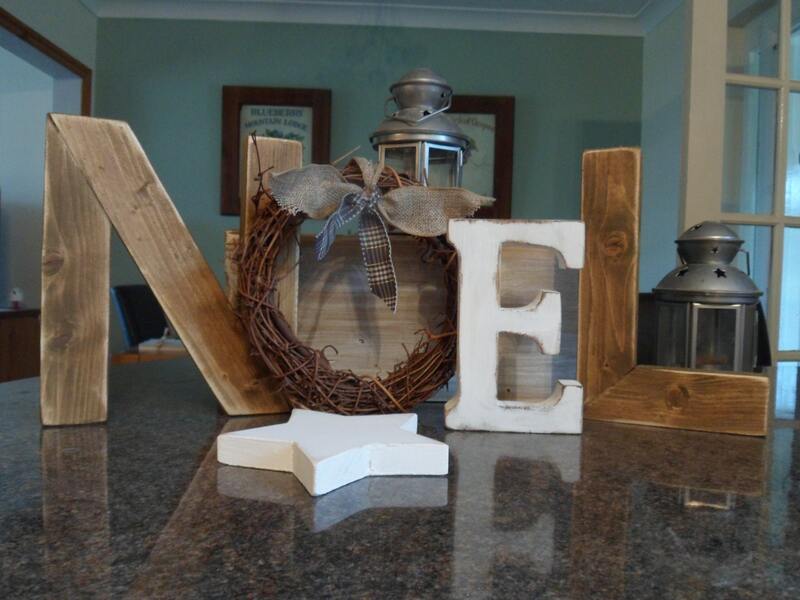 These letters are free-standing and have flat bases, so stand upright on a shelf and windowsill. 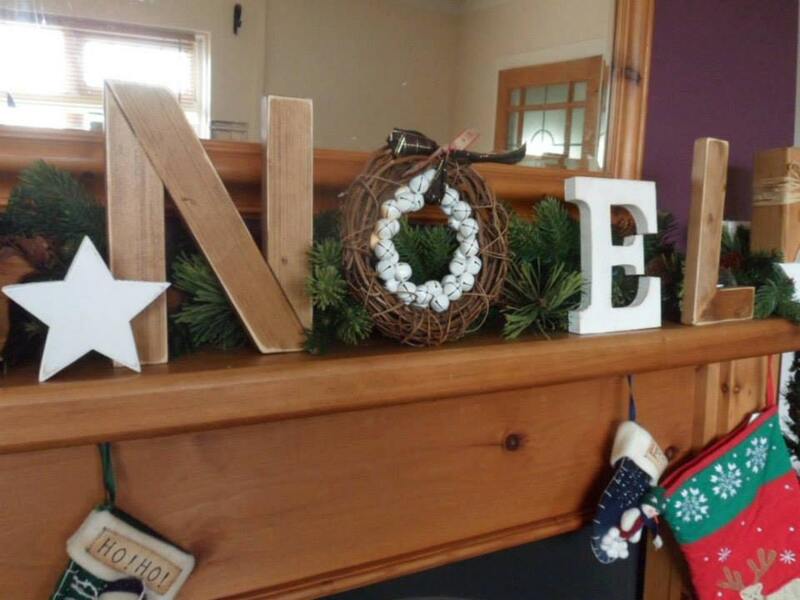 Alternatively, as the perfect accent to your Christmas decor this year, this Christmas NOEL is perfect for sprucing your mantle or side table, why not finish and dress with little twinkly fairy lights or some Christmas greenery like holly and mistletoe. 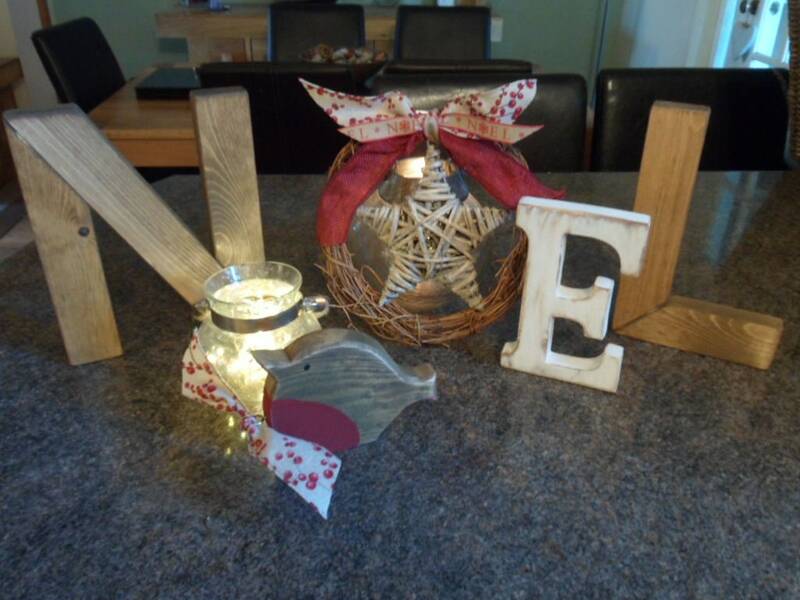 We have displayed them with some little tea light Christmas lamps (not included) for that festive feel. 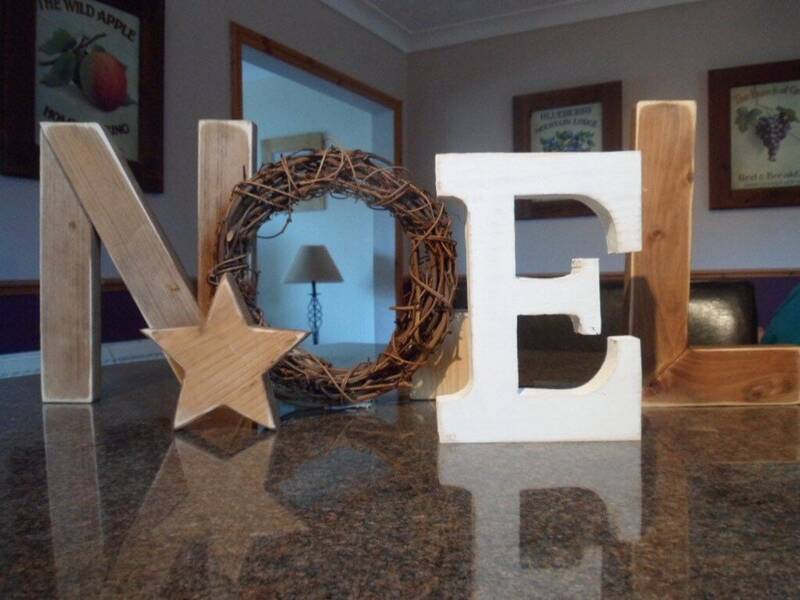 Given as gifts to family and friends these Christmas decorations are built to last, made from solid wood (NO MDF) and can be used year after year. As with all home made items, each is hand made and may vary slightly to the one in the picture. If you require the E to be less rustic, please state when ordering. Very pleased with my sign. It arrived very promptly. Here is it in situ. 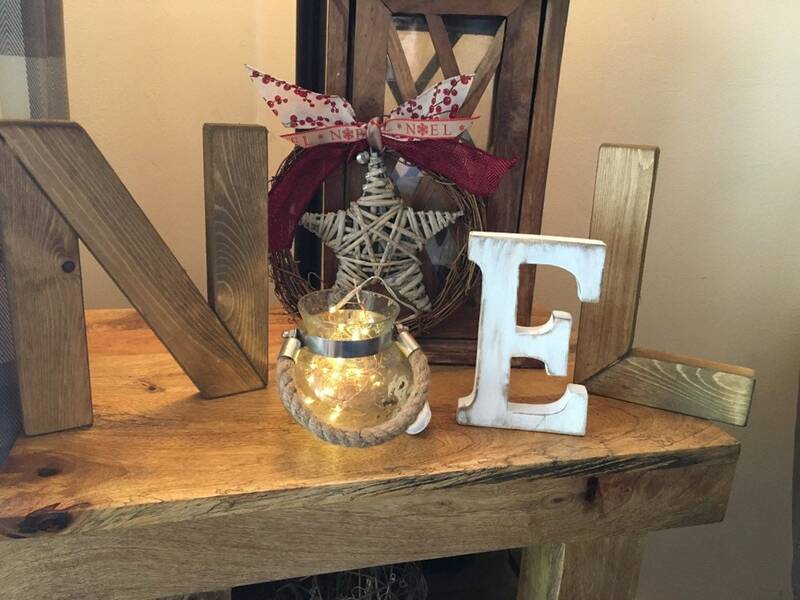 The E was made and glued together. It was not even enough to stand on it's own, fell over and cracked right off where it was glued. This is advertised as something that can stand on it's own but they do not balance and stay up well at all. I am disappointed, as I ordered to put on my fireplace mantel. Good idea, but not made as it is explained. Sorry. Very well made items, highly recommend. Thank you.